46 Off Shore - Cooper Marine, Inc. 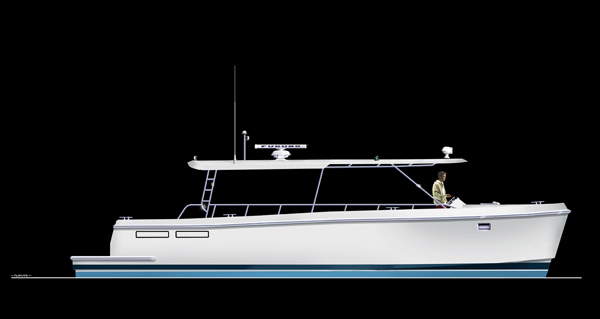 The 46 Money Maker is the inboard diesel version of our 46' charter cat. In the U.S. she can be U.S.C.G. certified for 49 passengers out to 100 miles offshore. The vessel is a very stable and efficient money maker - a perfect work boat for these times. 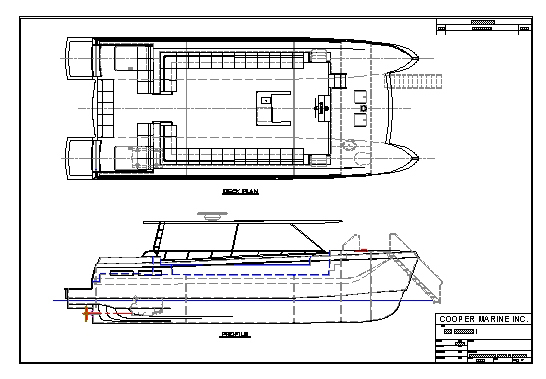 She is low cost to purchase and operate, and is the most comfortable vessel of her size and type on the market. The hull and deck are each one piece molded parts, and the running gear is completely protected. The vessel is capable of 8 miles per gallon fuel efficiency, depending upon your choice of power. 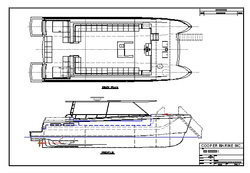 The base price includes the hull and deck set up for inboard diesels. Ron Cooper has built over 130 power catamarans in the last 25 years.